When Eileen's dental implants failed, she sought help from Portland-area oral surgeon Dr. Russell Lieblick of Beacon Oral & Maxillofacial Surgeons. Dr. Lieblick assured Eileen that she was now in the best hands. As promised, she was smiling with her new, successful implants after just a few hours. Dr. Lieblick has been her go-to provider for her implants ever since. 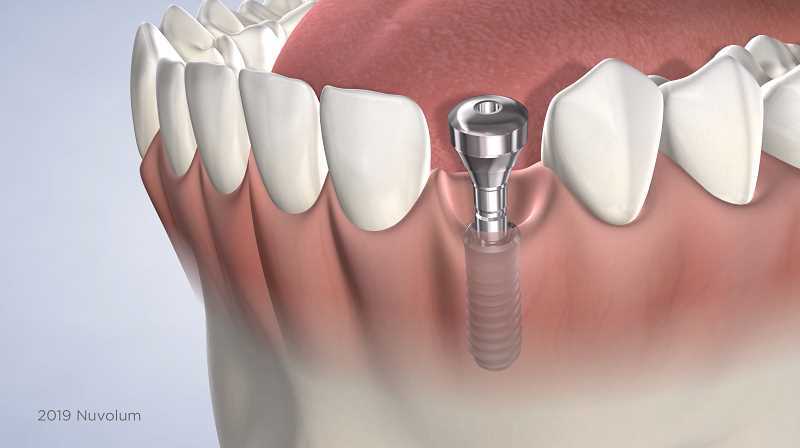 While dental implant treatment is statistically one of the most successful treatments in medicine or dentistry, you only get one chance to do it right the first time. Getting good results can be difficult if the initial treatment has to be revised or redone. It's one of the reasons why so many people seek out an experienced oral and maxillofacial surgeon for their surgery. We visited Dr. Lieblick at his practice to talk with him about Eileen's treatment. "We often see patients who have had a poor outcome with an inexperienced provider," he explained, "and it's very difficult to repair the damage. We are happy to try to make things right. Potential implant patients should know that seeing an oral surgeon for their implants and having them done once, the right way, will save them time and money by avoiding multiple, unnecessary procedures—and the best part is that they are going to get the best result possible." In fact, the rate of success for dental implants placed by an oral and maxillofacial surgeon is nearly flawless (The Journal of The American Dental Association). Oral surgeons, like the highly trained surgeons that perform heart surgery, have years of hospital-based surgical experience and additional qualifications to perform safe and comfortable dental implant placements, as well as properly equipped facilities and supporting surgical teams to administer IV anesthesia and safely monitor patients. However, this success drops after an area has been treated without the proper care or expertise. Referring general dentist Dr. Aaron Tinkle of Southeast Portland agrees. "I refer over 100 patients a year to Dr. Lieblick," he states, "and he does well over 1,000 implants a year, so I figure he'll be much better at placing that implant with more predictable outcomes than I would be." The evidence is reflected in enthusiastic testimonials of patients who have received their dental implant treatment from oral surgery specialists. One such patient is Dave from Portland, who had an implant placed by oral surgeon Dr. Brandon Rehrer to replace one of his molars. "My dentist referred me to Dr. Rehrer. We explored different options and felt that an implant would be the most economic and best solution. The efficiency of the process made it a stress-free experience. He explained everything he was going to do as I went through the process, and it was everything they said it would be. I definitely rate my overall experience as five stars." Patients and trusted dental providers are unanimous in their recommendation that if you are considering dental implants, the smarter, economical, and most efficient choice is to make your first step a consultation with an oral surgeon. You don't want to lose the opportunity to have it done right. Most oral surgeons offer free consultations and are happy to share their knowledge and evaluate you for personalized care. Dental implants are the most popular tooth restorations available today and the only true tooth replacement that will look, feel, and function just like natural teeth.